Chelsea could be set to receive an incredible transfer offer that would represent a sensational piece of business if only the player would accept it. Atletico Madrid are surprisingly interested in signing Blues flop Alvaro Morata this summer and would be willing to pay as much as £88million to bring the Spaniard back to La Liga. Morata has largely flopped in his time in England, having left Real Madrid to secure more first-team football at Chelsea in the summer. Still, the 25-year-old no longer looks trusted by manager Antonio Conte after barely featuring of late and due to not scoring a single goal in 2018 so far. According to Don Balon, this has not put off Atletico offering Chelsea the chance to make a profit on the player they signed from Real during the close-season. You’d think Roman Abramovich would bite their hand off if this kind of offer came in, but it may not transpire as Don Balon claim Morata is not keen on the move. 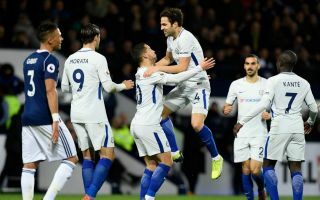 The former Los Blancos man remains loyal to his former employers and reportedly does not want to play for their rivals despite his struggles at Stamford Bridge. Bad luck, Chelsea, who will surely be considering replacing Morata in the near future after his nightmare start in the Premier League. Sky Sports recently linked the west London giants with Bayern Munich striker Robert Lewandowski, who would undoubtedly be a major upgrade up front.